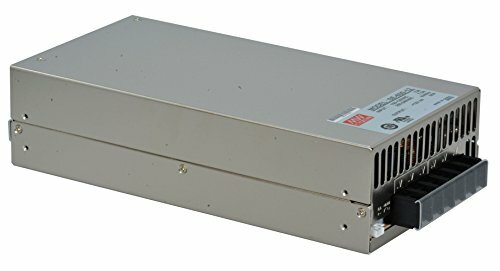 This power supply weighs 4.9 lbs and has dimensions of 9.7" x 5.0" x 2.5". input: 85-264vac at 47-63hz. Switch-selectable AC input. Built-in remote sense function. Load and line regulation of 0.5 percent.